Infinix Hot 7 is the latest smartphone from Infinix under it affordable HOT series. 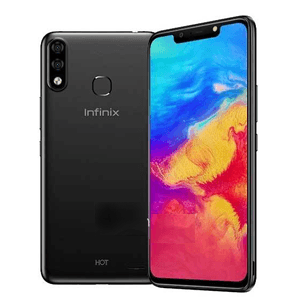 But unlike the Infinix Hot 6 and the hot 6 Pro, the new Infinix Hot 7 is design like the recently announced Hot 6x, featuring a large 6.2-inch display and the trending Notch display cut-out introduced in the Apple iPhone X. 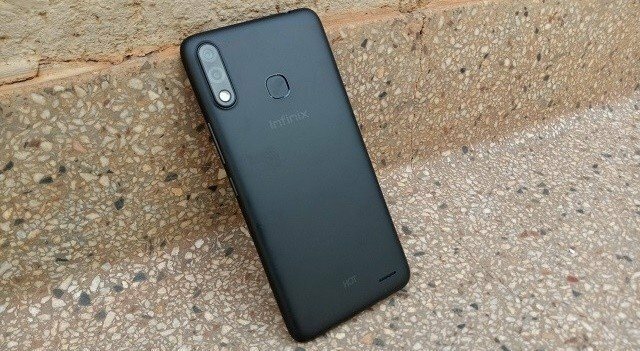 As seen in the checlisted list above, the specifications and features of the Infinix hot 7 is not too far from what we saw in the previous Hot 6, except for the introduction of an all new display cut-out, which adds more beauty and premium feels to the device. Just as mentioned above, the Infinix Hot 7 comes with a 6.2-inch display, featuring 720 x 1520 pixels resolution. Above the device is the display cut-out, hosting the front-facing camera, LED flash, light sensor, and of course, the earpiece grill. Surprisingly, Infinix Mobility is still using MediaTek’s MT6580 CPU. This is the older Quad-core Cortex-A7 SoC, clocked at 1.3GHz, along with Mali-400MP2 GPU. It has 1 GB of RAM and a 16 GB internal storage. The ability to expand RAM size is not available in mobile phones yet, and don’t expect it anytime soon. But you can of course expand the built-in storage up to 32GB via SD card. So what’s more? Does the Infinix Hot 7 have support for 4G LTE network? No. Hot 7 has only 3G network. Does the hot 7 have Fingerprint sensor and face Unlock? Yes, there’s a rear Fingerprint sensor and support for FaceID. And just like the HOT 6, the hot 7 comes with dual Nano-SIM cards, Bluetooth 4.2 Wi-Fi 802.11 a/b/g/n, 4000mAh battery and run on Android 8.1 (Oreo) out of the box. Read through the table below for other key specification and silent features of the Infinix Hot 7 smartphone. Infinix could have added these features ..
Hello, i have had this phone for almost a week now. Everything is well but what is bothering me is the fact that i got it missing the gallery and music apps pre-installed.. I had to download from play store. Usually android phones come pre-installed with both apps but not this one..
Why does both front & back flash lights are not more bright ? No Gallary,No Music Nor Video App..Seriously I Just Don't Understand This..
Am So Pissed Off Right Now.. The Most Annoying Part Is The Fact That The phone Is Slow..its Totally Delaying everything am doing in the phone..